For the first fiscal quarter of 2016, which ended on June 30, publisher Take-Two announced that Grand Theft Auto V has sold a total amount of 54 million units since its release date. The game was initially released on the old generation PS3 and Xbox 360 consoles in September 2013. It was later released on the new gen platforms, PS4 and Xbox One in November 2014, and finally on PC in April 2015. 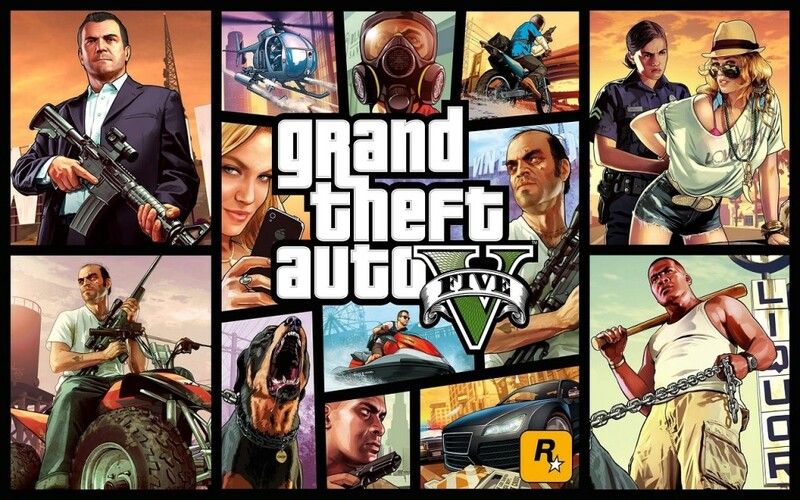 The total of 54M units sold makes GTA V the fourth best-selling multi-platform game of all time, behind Minecraft (70M), Wii Sports (82.69M) and Tetris (100M). It’s also the best-selling game in the GTA franchise by a significant distance. San Andreas sold 27.5M, IV sold 25M and Vice City sold 20M. GTA V beat the sales figures of all previous GTA games within six weeks, when its sales totalled 29M. Rockstar’s GTA V is no stranger to setting records. Doubling the expectations of market analysts, it sold $800M worldwide within 24 hours of its release before reaching $1B in three days, which made it the best-selling entertainment product of all time, ahead of even such highest-grossing movies as Avatar and Titanic. The game is also the owner of several Guinness World Records, including best-selling and highest grossing game in 24 hours, fasted entertainment property to gross $1B, highest revenue generated for an entertainment product within 24 hours and most viewed action-adventure game trailer. Despite being nearly two years old GTA V is still selling in considerable numbers, with 2M copies sold in the quarter ending June 30. This could be also attributed to the fact that releases on different platforms has been spread in time over 18 months. The wholesale sales of the title are very strong too, and the game constantly appears in the top 10 of the best selling wholesale video games. The combined total quarterly revenue for Rockstar, which is part of Take-Two who are responsible for publishing GTA, reached $366.4M, an increase of 142% compared to the same quarter in 2014. Projected yearly revenue is set to be $1.3 to 1.4B. Over the course of the quarter Take-Two have released free updates for GTA V, like Ill-Gotten Gains Part One and Two. This was joined by the release of WWE games on PC and mobile for the first time. Take-Two have got a full roster of games in development for the future. XCOM 2, Battleborn, NBA 2K16, Mafia 3 and an expansion for Civilisation: Beyond Earth are all currently in the works.